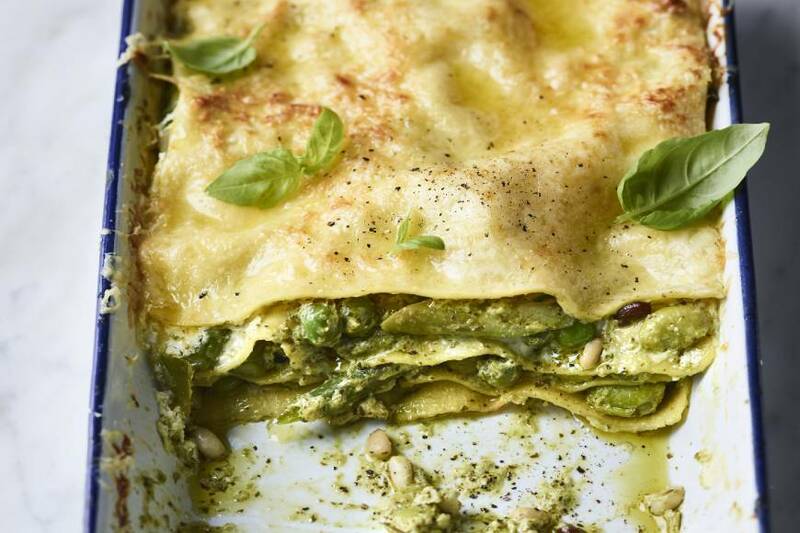 The Body Coach does note that this may take you longer than 15 minutes to whip together (well, it is a lasagne), but it should be worth it. 1. Preheat the oven to 180oC (fan 160oC, gas mark 4). Grab yourself a smallish ovenproof dish. 2. Heat the olive oil in a frying pan over a medium heat. Crush in the garlic clove and tip in the asparagus. Cook for two minutes, then stir in the frozen peas and broad beans. Cook for another minute until the peas and broad beans have thawed. 4. Spoon a third of the mix into the ovenproof dish, then top with two sheets of lasagne. Repeat the process until all the filling and pasta are used up. For the final layer, mix the remaining mascarpone with the milk. Pour this over the top of the pasta sheets and sprinkle over the remaining hard cheese. 5. Bake for 35–40 minutes until the pasta has no resistance when you prick it with a fork. Leave to rest for five minutes before diving in. Serve with a green salad.